There are many negative C’s, which should also be identified so that we can avoid them or at least be aware of them. As you will notice when you go through the whole exercise, the presence of one negative C cancels out a positive C.
In an authentic Hadith the Prophet Muhammad said: “Look up to one who is greater in piety so you strive to be like him and look upon one who is below you in material status so that you may be thankful to Allah’s Grace”. As a Muslim community we are experiencing the opposite. We are literally killing ourselves to gain bigger and better material goods than others and passing this same competitive spirit to our children. If Br. X’s son is going to Yale, my son must go to Harvard otherwise he is a failure, no matter how good a Mumin (believer) he is in comparison to Br. X’s son. We are inadvertently putting so much pressure on our children to compete in Dunya (this world) that we are actually hurting their self-esteem and pushing them away. Remember if children don’t find acceptance of who they are and what they are capable of at home, they will find it elsewhere. Comparison is an outcome of negative competition it is cruel and breeds resentment and anger. Many parents compare their children to others and get in the habit of complaining. Grass always seems greener in the neighbor’s yard, but closer inspection may reveal the opposite. None of us are perfect, and therefore we should stop looking for perfection in others. The negative aspect of control shows in the form of a controlling personality e.g. I am the boss so you do as I tell you. In extreme cases this need to control leads to abuse and neglect. Anger is also a weapon of a control freak. In most cases it is the father, however mothers also exhibit this trait. 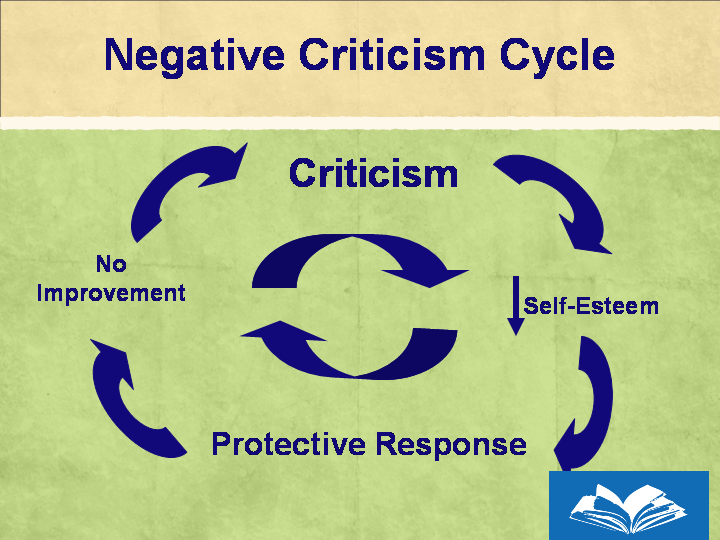 Constant, destructive criticism is a sign of dysfunctional parenting. Continuous put downs and verbal clashing destroys the tranquil atmosphere at home. The self-esteem of the recipients of this criticism is extremely low developing in them a victim mentality. They will either seek abusive relationships or turn their backs on their families. Many runaways come from such a family background. “If the truth was to follow their whims, the heaven and earth and all their inhabitants would be corrupt” (Quran part of 23:71). choosing what we want, practicing what suits us best and resisting and outright opposing what does not suit our fancy, we pay an enormous price by losing ourselves to the Dunya, and driving our children away from Islam. Parents are confused about their identity and their values. They have not been able to develop a structure of right and wrong based on Quran and Hadith and as such when it comes to implementation give conflicting signals to their children. We must as parents develop an Islamic frame of reference, which would serve to develop a Muslim conscience in our children and a basis for judgment. Sifting through our cultural baggage and increasing our knowledge can only achieve this. Contempt for others is a result of pride, arrogance, and conceit. We must discourage arrogance in children and be constantly vigilant about it as many Muslim youth are falling prey to this trait and developing contempt towards their parents. It is one thing to praise and quite another to set them up on a pedestal. We should always remember “knowledge is proud it knows so much — wisdom is humble it knows no more”. Consumption, a vice of this society, is creeping into Muslim communities. When wants become needs, and parents start compensating for their lack of time spent with their children with material gifts, we are perpetuating consumerism — anything can be bought. This, however, is not true. So many young people I counsel always say “I could do without this new computer if only my parents would spend more time with me”. When there is contradiction in word and deed it is called hypocrisy. Children are very sensitive to this vice and can pick a hypocrite a mile away. When we behave holier than thou in the Masjid but present a different side in other settings, we are giving our children the message it is okay to be a hypocrite. As Prophet Muhammad reminded us in his last sermon “Shaytan cannot mislead us in major issues of Faith but in minor issues”. This is where our carelessness and lack of diligence can lead to weak character. This is a mind set that many immigrant parents have passed down to their children — a sense of inferiority, a complex as such, that European and Western cultures are superior and better than that of their country of origin. This is a mentality that encourages imitation, following and serving rather than leadership. There are many more positive and negative C’s that I could discuss but perhaps it would be entertaining if families could sit together and see how many they can come up with, and perform a diagnostic test of their own families based on this humble contribution.